Tom Price Bought Drug Stocks. Then He Pushed Pharma’s Agenda in Australia. Before he was named Trump’s health secretary, Price took a congressional trip to Australia and pressed officials to extend protections for drug companies in an international trade agreement. In the spring before the 2016 presidential election, the Obama administration’s 12-nation trade agreement known as the Trans-Pacific Partnership, or TPP, was still alive. Negotiators worked on details as Congress considered whether to ratify the pact. The Australian government was getting in the way of one change demanded by U.S. pharmaceutical companies. Makers of cutting-edge biological drugs wanted to have data from their clinical trials protected from competitors for 12 years, as they are under U.S. law — not the roughly five years permitted under the TPP. Australian officials insisted that an extension would deprive consumers of cheaper alternatives for too long. On April 5, 2016, a bipartisan group of U.S. lawmakers arrived in Canberra, Australia’s capital, for meetings with government officials on a broad range of subjects. 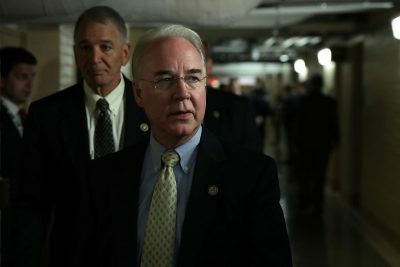 Among those on the routine congressional trip was Rep. Tom Price, a Georgia Republican who would go on to become President Trump’s secretary of health and human services. Three weeks before the trip, Price had purchased up to $90,000 worth of pharmaceutical stocks — trades that would come under scrutiny after his nomination to Trump’s cabinet. In Canberra, Price and another Republican, Rep. John Kline of Minnesota, pressured senior Australian trade officials to modify their position on the 12-year extension, according to a congressional aide who was on the trip. 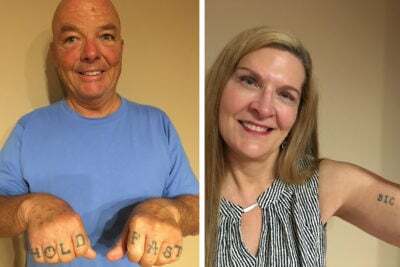 The Australians explained that they had no intention of changing their laws or rules in ways that could increase drug prices. Price and Kline continued pushing, according to the aide, asking for a side letter or other written guidance that the period would be extended in Australia even if it weren’t spelled out in the TPP itself. Price’s lobbying abroad, which has not previously been reported, is another example of how his work in Congress could have benefitted his investment portfolio. He traded hundreds of thousands of dollars’ worth of shares in health-related companies while taking action on legislation and regulations affecting the industry. ProPublica previously reported that Price’s stock trades are said to be under investigation by federal prosecutors. Price, who did not respond to an interview request for this story, has said he did nothing wrong, that his broker generally chose stocks without his knowledge and that all of his trades were publicly disclosed. Price’s financial disclosures submitted to the House Office of the Clerk show that on March 17, 2016, he purchased shares worth between $1,000 and $15,000 each in Eli Lilly, Amgen, Bristol-Meyers Squibb, McKesson, Pfizer and Biogen. All six companies had an interest in biological drugs, which are grown from live cells and are known for short as biologics. Eli Lilly, for example, is behind Portrazza, the first biologic approved to treat a common type of lung cancer. Amgen makes a top-seller for rheumatoid arthritis and psoriasis. Biogen developed a biologic for people suffering multiple sclerosis relapses. Kline, who has since retired from Congress, said he could not recall if he or anyone else raised the biologics issue. His financial disclosures do not show direct holdings in pharmaceutical companies. Australia has played another role in Price’s financial activities. In 2015 the congressman bought about $10,000 worth of shares in Innate Immunotherapeutics, a small biologics firm with an office in Sydney. After the congressional trip, which also made a stop in Sydney, Price purchased a larger stake in the company, about $84,000 worth, in two private placements, the first of which was announced in June. Price was invited to purchase the shares at a discounted rate. It’s not known if Price had any contact with the firm while in Sydney. Price didn’t respond to questions about when and where he discussed the discounted offering with company officials. The company’s officials also did not respond. 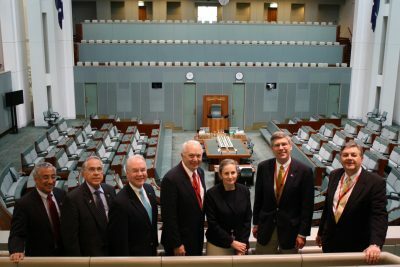 Traveling congressional delegations typically meet with a variety of local officials, and at the time of the visit to Australia it wasn’t unusual for Republican lawmakers to side with the pharmaceutical industry on the trade deal’s protections for biologics. Price’s advocacy stands out because he pushed the cause directly with foreign officials, while at the same time owning stakes in companies that could have benefited. An itinerary for the trip reviewed by ProPublica mentions TPP in relation to one of the meetings, but does not list the biologics provision. A former Australian trade official, who asked not to be named and attended one of the meetings, confirmed that the 12-year lockup was addressed, but said he could not recall which Congress members were pushing it. Others on the trip, organized by the House’s Education and the Workforce Committee, were Robert Scott, D-Va., Ruben Hinojosa, D-Texas, Erik Paulsen, R-Minn. and Dan Benishek, R-Mich. Those members who responded to requests for comment said they could not recall whether the provision was discussed. The data collected during clinical trials of drugs can save competitors time in developing the cheaper alternatives to biologics known as biosimilars. Keeping the data proprietary longer extends the original drugmaker’s monopoly. While some big brand-name pharmaceutical companies also make biosimilars, they and their trade association — the Pharmaceutical Research and Manufacturers of America — advocated strongly for longer exclusivity. In the end, the debate over the provision became moot. Trump scrapped the TPP days after taking office. Price divested his drug stocks upon taking the cabinet post. His investment in Innate Immunotherapeutics yielded a profit of at least $150,000. Special correspondent Anne Davies in Sydney contributed to this story. Do you have access to information about Tom Price that should be public? Email [email protected] or send him encrypted messages on Signal at 213-271-7217. Here’s how to send tips and documents to ProPublica securely.